Is a Tech Bubble Worse than 2000 Ready to Burst? Mark Cuban, the billionaire technology entrepreneur, thinks the current bubble in tech will be worse than 2000. With the Nasdaq flirting with record highs and certain tech stocks trading at sky-high valuations, investors should be wary. In this article, we explain everything you need to know about what’s going on in the technology sector and how to avoid the fall. Mark Cuban, the billionaire entrepreneur, Dallas Mavericks owner and “shark” from CNBC’s Shark Tank, has sent the media — both in the tech and finance world — up in arms. His 750 word blog post, entitled Why This Tech Bubble is Worse Than the Tech Bubble of 2000, has a very ominous tone. But it just takes a quick read to know that Mark isn’t talking about the stock market, as some might infer or try to extrapolate. Rather, Mark is worried about the number of small tech companies and mobile apps that people have invested in. He believes these investors will never get their money back because they invested with the idea that it could be the next Facebook (NASDAQ: FB), but in reality the company will simply fail. In truth, the private markets have always been a bit of a different beast when it comes to investing. The people, predominantly more well off, investing in private companies is still a staggeringly small number compared to those in the public markets. Granted, Mark does know a thing or two about bubbles. Recall that he sold his Braodcast.com for $5.7 billion in 1999 to Yahoo (NASDAQ: YHOO). Broadcast.com, at its core, broadcasted sporting events. The company now exists as a shell of its former self, buried deep inside of Yahoo. Then there’s Bill Gurley, who’s an ex-Wall Street guy turned venture capitalist, who has also noted that the current startup scene is indicative what we saw in the late 90s. Gurley is nobody’s fool either, having invested in the likes of Zillow (NASDAQ: Z), Uber and OpenTable (bought by Priceline). So he knows a thing or two. But the one thing that Mark and others fail to do is make a connection between the illiquidity that private company investors will experience and the stock market. There is, nonetheless, a lesson from Mark’s post and the comments made by other industry insiders when it comes to private company investing, which is that the public markets are still the average investor’s best hope for transparency and liquidity. Some people are going to get burned in private company investing over the next couple years. Maybe a lot of people. But at the end of the day, all I see that doing is fueling more money being poured into the stock market. Still, let’s indulge some of the other talking heads that like to extrapolate Mark’s blog post to the boom in the biotech industry today. The simple question is; will the biotechs of today end in a crash like the tech stocks of the 2000s? Firstly, the Nasdaq Composite did hit 5000 last week, which marks the first time since 2000. But the companies that have spurred this return of the Nasdaq to 5000 are cash generating companies like Apple (NASDAQ: AAPL) and Amgen (NASDAQ: AMGN), and not the Netscapes of the late 2000s. Take a look at the iShares NASDAQ Biotech Index ETF (NASDAQ: IBB), which is up 32% over the last year, while the S&P 500 is up just 12%. And over the last five years, the return of the IBB has outpaced the S&P 500 by over 200 percentage points. After the crash in the early 2000s, the IBB traded in a tight price range around $100. In late 2011, the breakout began. It’s been on a steady rise since then, now trading at record highs of $345. With this type of growth, biotech is now the highest weighted industry in the Nasdaq Composite at 11.2%, passing tech companies. So, should we be talking about the biotech bubble and not some bubble in startups? Not so fast. A lot has changed since then. We have a surge in biotechs that’s actually backed by a changing demographic (think: aging population). But we’ve also had a rapid acceleration of technological innovation, which includes both equipment and the way clinical trials are done. You couple this with scientific advancements and we’re now on the cutting edge of treating diseases like cancer and major genetic disorders. And back to the Nasdaq biotech index, the IBB trades at a price-to-earnings ratio of right at 30, which sounds high, but that’s still well below the near 60 P/E it traded at right before the crash in 2000. Many of the largest biotech players still trade at reasonable valuations as well. BIIB (NASDAQ: BIIB) trades at a forward (based on next year’s earnings estimates) P/E ratio of 25, Amgen at 17 and Gilead Sciences (NASDAQ: GILD) at 10.5. And the real beauty for investors is there are still underrated biotech stocks out there. Granted, they are a little harder to find. 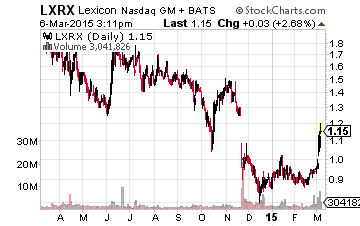 But take Lexicon Pharmaceuticals (NASDAQ: LXRX) for example. It’s a $690 million market cap company that has two products in its late stage pipeline. But its down nearly 40% from its 52-week high last summer. It has more than enough cash to cover its debt and is targeting the large diabetes market. It has a drug entering Phase III trials this year for treating Type 1 diabetes and shouldn’t have a problem finding a partner to tackle the even larger Type 2 diabetes market. It also has another product in its late-stage pipeline, which will be used to treat the rare disease carcinoid syndrome. 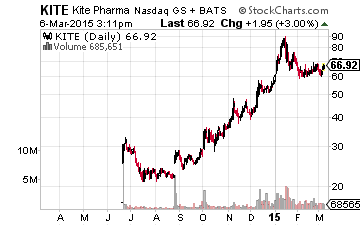 Kite Pharma (NASDAQ: KITE) is another interesting biotech story. It’s a $2.8 billion market cap company that’s active in the immuno-oncology space. That’s the treatment of cancer using the patient’s own immune system to attack tumors. Its pipeline of drugs will target a variety of cancers. Shares are 25% off their 52-week highs just a couple months ago and it is expected to start generating earnings next year. It also recently inked a deal with Amgen, which will help the company build up its pipeline faster by giving the company funding to support its growing research and development budget. Amgen will be relying on Kite for clinical manufacturing of its T-cell therapies. 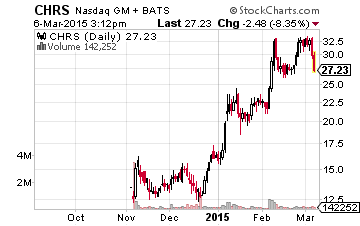 Then there’s a $950 million market cap biosimilar play called Coherus Biosciences (NASDAQ: CHRS). Biosimilars are a fancy term for a biological product that is very similar to other biological product that’s already in the market. The company just completed its IPO in November and has two anti-TNFs heading into Phase III trials. Anti-TNFs are one of the fastest growing subsets of the biological products market. They treat a variety of inflammatory conditions. To give you an idea of how big the biosimilar market is, the market was just $20 billion (or 10% of the global drug market) in 2000. It’s expected to hit $275 billion by 2010 and make up 32% of the global drug market. These are just a few interesting biotechs, there’s still plenty of others plays out there as my colleague, Bret Jensen, has laid out in several articles over the last couple months, hoping to shine a light on some truly underrated biotechs. 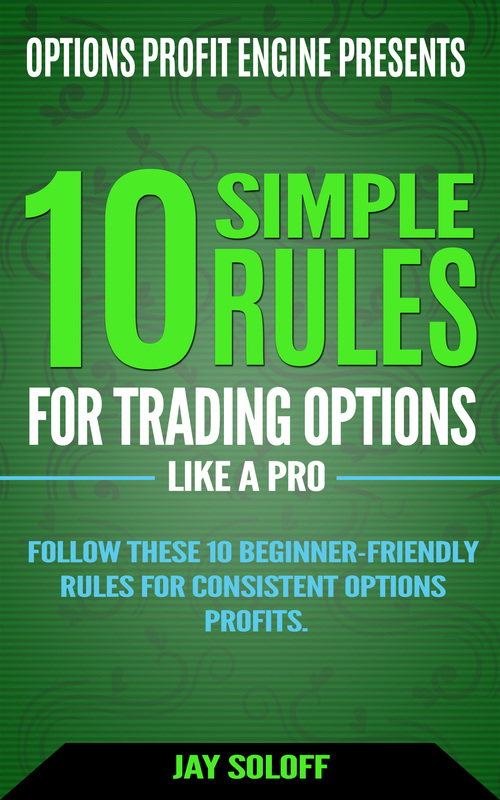 This includes two potential triple digit winners that are already on the move. In the end, Mark, Gurley and the numerous others might be right on the startup bubble. Things have gotten a little frothy. But it’s hard to see how that spills over into the public markets. Rather, it could be a positive as money rushes into the stock market once the startup frenzy cools off. And as far as the bubble in biotechs, the rise looks to have a sturdy foundation of earnings and genuine medical advancements, with there still being plenty of opportunities in the space. My Investors Alley colleague, Bret Jensen, has been on a tear lately with biotech stocks. First there was Avanir in December with a 215% return and now he’s got a string of 30%, 40%, 157% biotech winners in his Small Cap Gems portfolio. He’s written an urgent briefing on his latest opportunity which by his conservative estimates looks to grow 2,715%. That’s not a typo. Click here for details. Author: Marshall HargraveMarshall Hargrave is the managing partner of Bridgewater Investments LLC, a boutique equity research company. Bridgewater provides specialized research for deep value securities and certain special situations. Marshall brings a unique perspective, with background as a tech startup CEO and as a financial advisor with Northwestern Mutual Financial Network. He has also helped co-found several startups in the finance space. Marshall graduated from Appalachian State University with a degree in finance and holds a Series 65 license.